Welcome to Rocky Ridge Villas, where you can enjoy life in this truly turn key WALKOUT BUNGALOW with VAULTED CEILINGS & plenty of upgrades in a quiet cul-de-sac. The front entrance is spacious, open & inviting. The dining room is large enough to fit a table of 8-10 people, along with room for buffets/cabinets. Large kitchen with eating bar, ample counter space & a beautiful skylight. The breakfast nook opens onto the spacious south facing deck, perfect for BBQ and morning coffee. The spacious living room with large windows & a cozy gas fireplace are perfect for year round enjoyment. The Master bedroom features a huge walk in closet & private ensuite. Downstairs features a kitchenette, a massive family room, another gas fireplace, two more additional bedrooms, full bath & a huge storage room & a beautiful secluded patio. 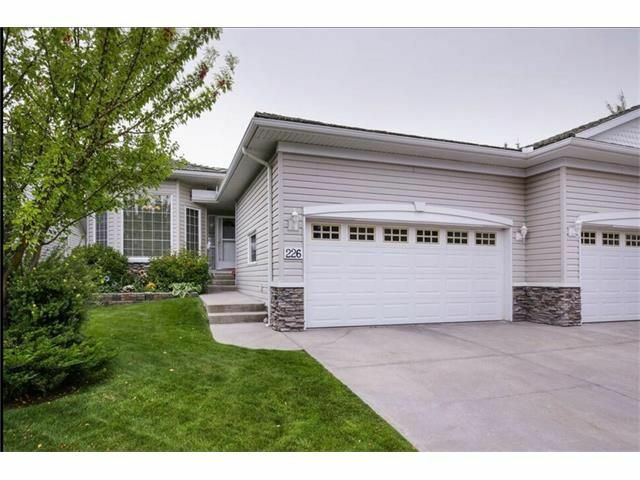 All of this within close proximity to Bearspaw Country Club & the Rocky Ridge Ranch lake & amenities! Call your favourite Realtor to view!